The Office of the Senate President, National Association of Nigerian Students (NANS) writes, first and foremost, to categorically condemn the continued non payment of SIWES Allowance to students who had participated in the Students Industrial Work Experience Scheme (SIWES) from 2010 - 2015 by the Industrial Training Fund (ITF). Secondly, the Office of the Senate President, NANS, writes to demand for the full probe of the Industrial Training Fund (ITF) by the Economic Financial Crimes Commission (EFCC) for non payment of ITF stipends to students from 2010 - 2015. 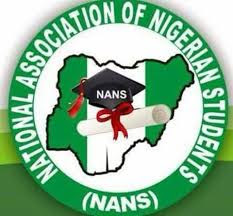 The National Association of Nigerian Students (NANS), upon carrying out an extensive and rigorous investigation across various institutions in Nigeria, wishes to state in unequivocal terms that evidences exist beyond reasonable doubt that there is a systemic and endemic fraud being perpetuated at the ITF National Headquarters,Jos, Plateau State in partnership with the respective ITF offices in each state of the federation. During the course of the nationwide investigation carried out by the Office of the Senate President, NANS, evidences/documents were obtained showing approval and disbursement of fund for the payment of SIWES Allowance for 2010 - 2015 SIWES set of students by the Federal Government. The various ITF offices in each state of the federation has, over the years, been diverting hard earned stipend which students are entitled to under the pretense of 'inaccurate bank details' submitted by the students. This illegality is in connivance with the various commercial banks anchoring the SIWES Allowance payment. We call on the EFCC to also beam the agency's searchlight on all banks handling the payment of SIWES Allowance to Nigerian students. Any bank found culpable in this unethical practice should be duly sanctioned. Furthermore, the Office of the Senate President, NANS, also discovered instances of SIWES Allowance being lodged with the ITF office, Jos, Plateau State. This is a well calculated attempt to divert, loot, and siphon the only form of subsidy being enjoyed by Nigerian students by the top echelons of ITF. There is no moral justification, nor financial analogy for the non payment of SIWES Allowance to Nigerian students. We call on the ITF to learn from the swift, clean and efficient payment portal deployed by NYSC in the payment of monthly Corps members allowance with little or no fuss. There should be a collaborative, cooperative, productive and positive synergy between various Ministries and MDAs of the Federal Government for effective implementations of various policies to better the lives of the Nigerian students and masses. NANS finds it unacceptable, unpalatable, unprofessional and corruption-riddled if the process of payment of ITF/SIWES Allowance takes an average of THREE years from disbursement by the Federal Government to receipt by students! NANS finds it unpatriotic on the part of the ITF as an agency and top ITF officials bringing this untoward hardship on Nigerian students for any student not to get paid for his/her complete the 6-month of I.T. scheme. Finally, the National Association of Nigerian Students (NANS) is giving a two-week ultimatum to the ITF for the immediate commencement of payment of all outstanding SIWES Allowance from 2010 - 2015. Failure to commence the payment will leave us with no choice than to mobilise across all campuses in each state to stage a coordinated protest at the various ITF offices in every state to air our grievances over the non payment of the SIWES Allowance. The association would not hesitate to fully activate our nationwide mobilisation machineries to stage a grand protest at the ITF National Headquarter, Jos, Plateau State.